The Emperor Augustus then reigned over the East and the West. 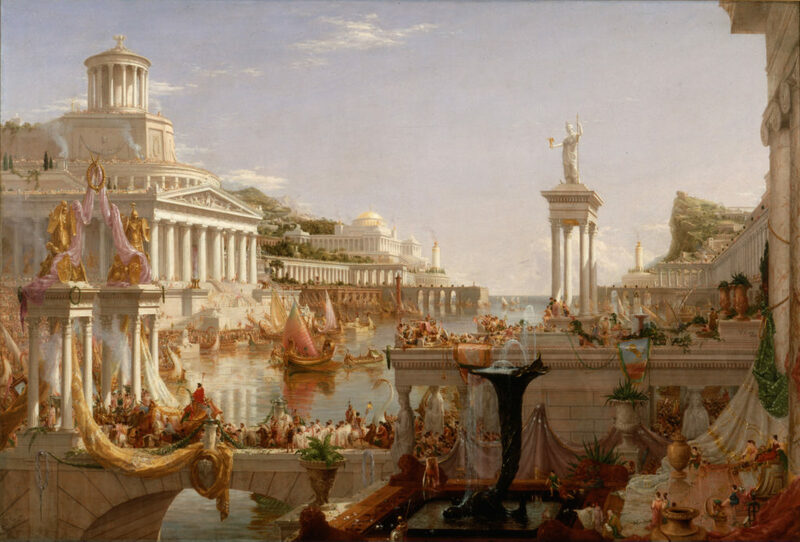 The nations that had been so proud of their independence, such as Italy, Spain, Africa, Greece, Egypt, Gaul (what is today France), Great Britain and Asia Minor, now transformed into mere provinces of the Roman empire, were subject to the laws of their conqueror. Now at that time the great emperor took a fancy to find out the exact extent of his dominions and the number of his subjects. Consequently, he issued an imperial edict prescribing the taking of a general census of all the peoples. Judea was included in that edict, for Herod’s kingdom, being only a simple fief revocable at the will of the emperor, was dependent on the governor of Syria. Orders were issued to the heads of families, to the women and children, to inscribe on the public registers their names, age, family, tribe, their goods and possessions and whatever else was required to make out the list of the taxes to be levied. Moreover, each one was to be inscribed, not at his place of residence, but at the place where his family originally came from, because in such places were preserved the genealogical documents legalising, in hereditary order, the right to property and inheritance. This latter prescription obliged Joseph and Mary, who were both of the tribe of Juda and of the family of David, to travel from Nazareth to Bethlehem, the birthplace of David, their ancestor. 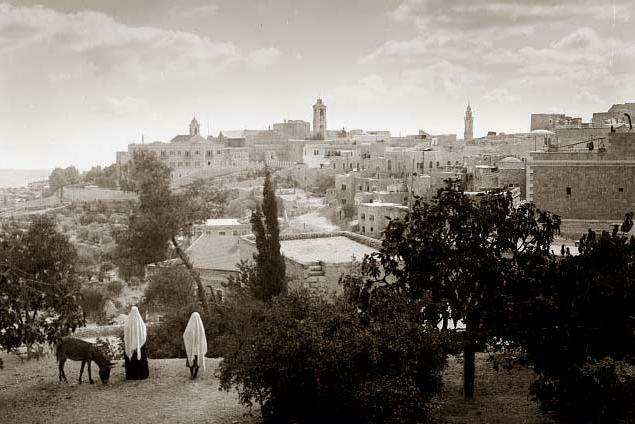 Whilst on the way to the mountains of Judah, Mary, who was about to become a mother, admired how God Himself led her to the place where the Messiah was to be born, and how an imperial edict set in motion all the nations in the world, in order that a prophecy, made seven centuries previously, by a seer of Israel, should now be fulfilled. The two travellers arrived at Bethlehem exhausted with fatigue after their journey of sixty-six miles. The evening sun was then shedding its last rays on the city of David, which was seated as a queen on the summit of a hill amid smiling hillocks planted with vines and olive trees. It was really Bethlehem, the house of bread, the town of abundant harvests; Ephrata, the fertile, the country of fat pastures. It was in those solitary valleys that young David pastured his flock, when the prophet Samuel sent for him in order to anoint him king of Israel. When treading on that blessed soil, the holy travellers conjured up the pious souvenirs of their nation, or rather of their ancestry. From the houses of the town, from the surrounding mountains and valleys, they seemed to hear voices speaking of their ancestors, and especially of the great king whose descendants they were. But at that time who was acquainted with the Virgin of Nazareth, with Joseph, the carpenter? On entering Bethlehem, they felt as if lost among the great number of strangers that had come there from every part of the kingdom, to be inscribed in the census. In vain did they knock at every door to find shelter for the night. No one would receive them. The Bethlehemites, having already to lodge their many friends and kinsmen, refused to admit those strangers who seemed so poor and wretched. 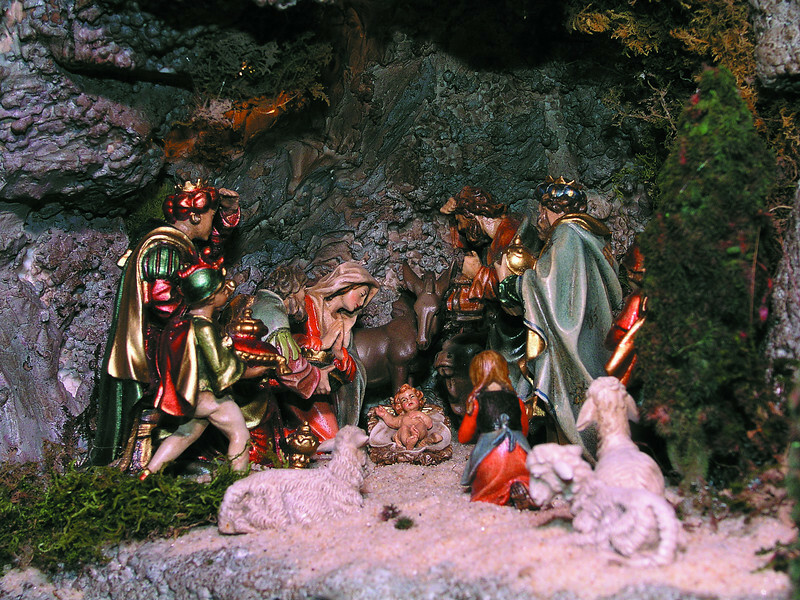 Joseph and Mary then directed their steps to the public inn, where the caravans usually had their quarters, but they found it so full of travellers and beasts of burden that there was no more room for them. Being repulsed everywhere, these two holy persons left the town by the Hebron gate. They had scarcely gone a few steps, when they beheld near them a dark cave hewn out of a hillside. The Spirit of God inspired them to enter it. Having gone in, they found that it was a stable, which served as a shelter for the shepherds and their flocks. It contained a manger and a little straw. The daughter of David, after her long and wearisome journey, sat down in it on a block of stone to take a little rest. Soon the noise in the city ceased altogether, and a solemn silence watched over its sleeping inhabitants. Mary was alone watching in the abandoned grotto, and pouring out her heart to the Almighty, when, at about midnight, the Incarnate Word miraculously left the womb of His Mother, and like a dazzling ray of the sun, He appeared to her astonished and enraptured gaze. A Christmas meditation by the holy crib. She adored Him, took Him up in her arms, wrapped Him up in poor swaddling bands and pressed Him to her heart. Then seeing the crib or manger, from which the cattle were wont to feed, she laid Him in it on a little straw. And from that stable which sheltered Him, from that crib which served Him as a cradle, from that straw on which He lay, and which pained His tender body, the Infant Redeemer offered to the divine Majesty His very first sufferings and humiliations. Kneeling near Him, their eyes bathed in tears, Mary and Joseph united themselves to His sacrifice. This entry was posted in Featured and tagged Bethlehem, Christ's sacrifice, Christmas, Christmas spirit, Joseph, Mary, Nativity by RTO.org. Bookmark the permalink.